New Delhi, Feb 8: Union Minister Arun Jaitley on Friday slammed the Congress for its promise to withdraw the Triple Talaq Bill, saying that 32 years after legislatively overturning the Supreme Court's Shah Bano judgment, the party has taken another step to drive Muslim women to live a life which is an "antithesis of human existence". "History has repeated itself, neither as a satire nor as a tragedy. It has repeated itself with a mindset of cruelty. The late Rajiv Gandhi committed a monumental mistake in legislatively overturning the Shah Bano judgement of the Supreme Court which guaranteed maintenance to all Muslim women. He allowed deserted women to be driven to poverty and destitution," the Minister said in a blog. "Thirty-two years later, his son has taken another retrograde step to drive them not merely into destitution but also to live a life which is an antithesis of human existence. The Muslim woman in Bareilly has been forced into animal existence." "It has shocked my conscience. Unfortunately, when human conscience should have been repelled while reading this news in the morning newspapers, the AICC President Rahul Gandhi and his coterie, while addressing a minority convention promised to withdraw the Bill pending in the Parliament, penalising Triple Talaq," he said. "Injustice perpetuated by personal laws is a glaring example of this." "The object and direction of these changes has been that gender equality is ensured, rights of women and children are protected and the right to live with dignity is ensured. Some practices which survived for centuries were so obnoxious (as Sati and untouchability) are now considered as unconstitutional," he said. 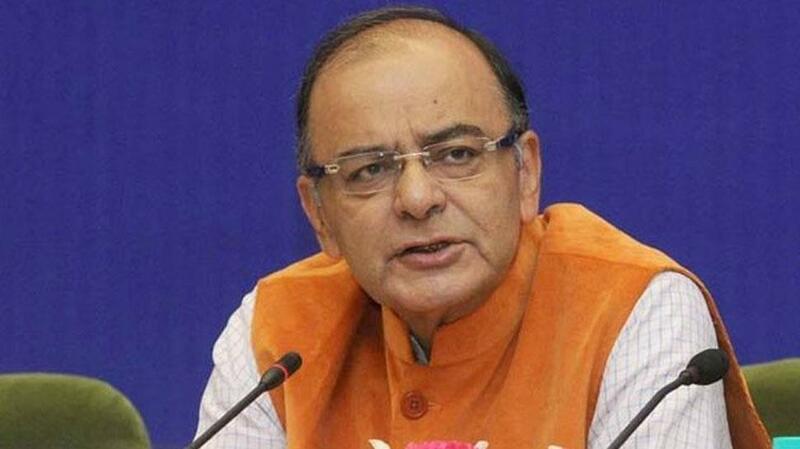 Hitting out at the Opposition party, Jaitley said: "Votes are important, so is fairness. Political opportunists only look at the next day's headlines. Nation-builders look at the next century." Jaitley's remarks come a day after the Congress women wing chief Sushmita Dev promised to scrap the law banning Triple Talaq if the party comes to power in the coming Lok Sabha elections. Addressing the party's Minority Department convention, she also alleged that Prime Minister Narendra Modi had created an atmosphere pitting Muslim women against Muslim men through the law.